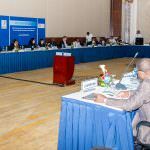 The two-day meeting of experts on indicators of sustainable development goals was inaugurated on Monday in the Kingdom of Bahrain on the sidelines of the sixth meeting of the International Committee of Experts on Indicators of Sustainable Development Goals 2030 and the international organizations responsible for monitoring the indicators for all countries of the world held on 11-12 November 2017. Dr. Ahmed Bin Hashim Al Yousha, member of the Board of Trustees of the Bahrain Center for Strategic and International Studies and Energy, “Derasat”, delivered a speech at the opening session, in which he stressed that the goals of sustainable development 2030 are an ambitious vision that cannot be achieved by any single country and require the commitment and cooperation of all countries. 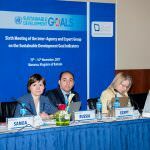 To achieve peace, and to commit to addressing common challenges, such as climate change, violent conflict and a constantly changing global economy, particularly youth participation and employment. Over the past 20 years, the Government of Bahrain has taken great strides to diversify its economy to help improve living standards and create jobs, in an effort to develop a social protection system that guarantees a decent life for all Bahrainis and has made efforts to empower women to contribute as much as possible to the economy. 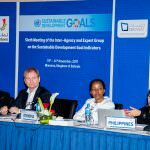 As a member of the Expert Group on Indicators of Sustainable Development Goals, the Kingdom of Bahrain is committed to achieving specific sustainable development goals, but also to supporting international efforts to eradicate poverty and protect the environment. 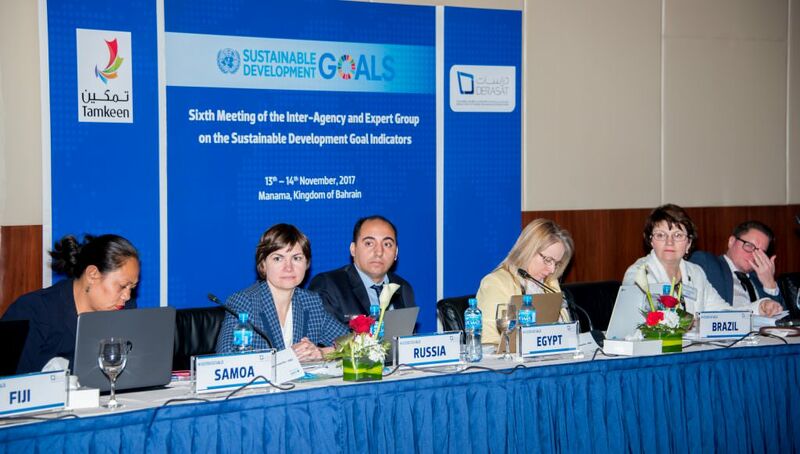 At the national level, the Bahraini Government had linked the progress made to achieving sustainable development goals with the Government’s Program of Action (2015-2018) and had established a National Information Commission to assist the Government in achieving progress towards the goals of sustainable development. Bahrain had recently hosted the Global Entrepreneurship Forum, entitled “Achieving the goals of sustainable development through entrepreneurship and innovation”, which focused on the use of entrepreneurship and creative thinking as a means to promote sustainable development globally, based on initiatives over the past two decades of partnership With the United Nations Industrial Development Organization (UNIDO), which produced what is known as the “Bahrain Economic Empowerment Model” being pursued in 52 countries worldwide. It is worth noting that this meeting is being held in cooperation between the UN Statistics Division, the Bahrain Center for Strategic and International Studies and Energy and strategic partnership with Tamkeen. 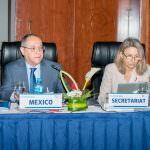 The meeting will include an extensive review of the package of indicators and methodologies that have not yet been adopted, which will be developed between international organizations and countries of the world to ensure the quality of data and to know the extent to follow the international methodologies adopted in the calculation of indicators and the application of the principle of transparency, and will review the international organizations methodologies proposed for this indicator and the proposed timelines for the request and the collection of indicators from countries. 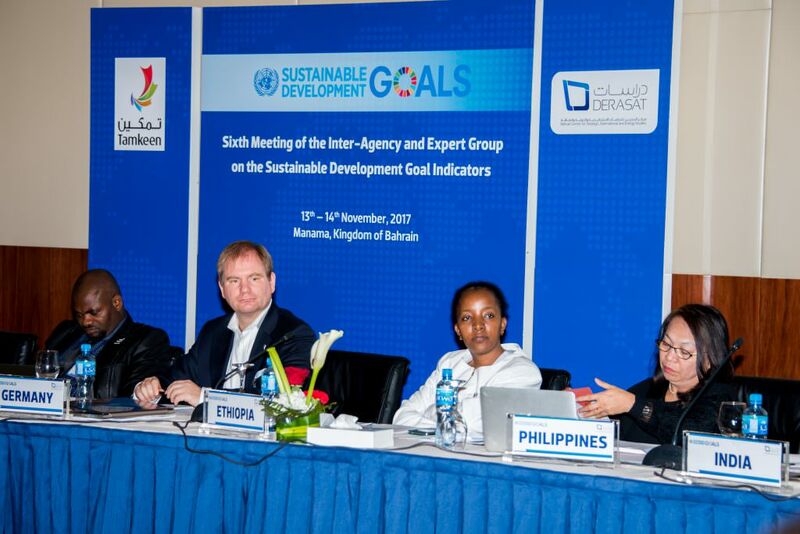 In accordance with the decision of the Board of Directors of the Statistical Center of the Gulf Cooperation Council States, the Kingdom of Bahrain represents the GCC countries in this committee to study the indicators and methodologies proposed for the goals of sustainable development and the mechanism for the exchange of statistics between countries and international organizations.